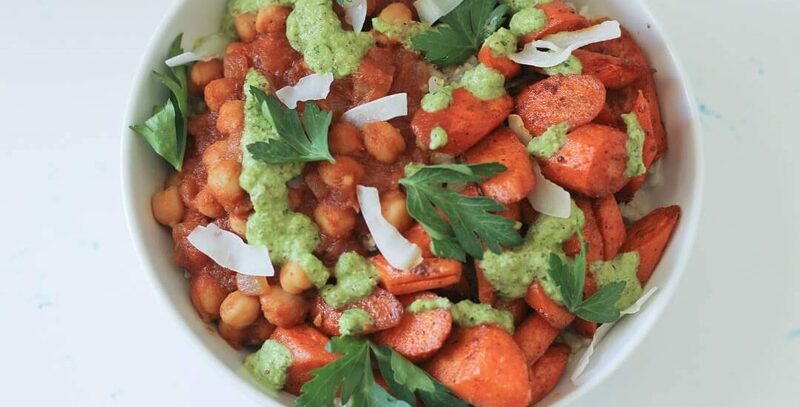 these chickpea curry bowls with carrots and cilantro sauce are hearty and warming, perfect for prepping on the weekend so you can have fall-worthy dinners throughout the week. have too many drinks because they’re free and exciting and when else is there free beach happy hour? work travel is by far not the healthiest (see above), so the healthy (or at least healthier, more vegetable heavy) times start now. chickpea curry bowls with carrots and cilantro sauce, here i come. they have chana masala vibes from the chickpeas and all the spicy curry, with the herby, nutty, tangy cashew and cilantro sauce coming in to help mellow out the curry. other nice touches: the charred carrots and toasted coconut! i’d recommend serving this with coconut rice (cook your rice with half coconut milk and half water), but anything goes. Spiced, curried chickpeas form the base of these chickpea curry bowls with carrots and cilantro sauce, but the vegetables and herby sauce help bring it all together. Puree everything with 1/3 cup water until smooth. Season to taste, and adjust the consistency with water and/or oil as you want. Toss everything with 1 T oil. Roast at 450F for 20-30 minutes, until brown. Heat some oil in a skillet over medium heat. Add the onion and garlic; saute for 3-5 minutes. Add the curry paste and spices; saute for 2-3 minutes. Add the chickpeas and tomato sauce. Simmer for 10-15 minutes, or until the sauce thickens slightly and the chickpeas are warmed through. Add the rice; stir to combine. Season with salt. Serve with the carrots, avocado, cilantro and cilantro cashew dressing. You can use a mix of nuts and seeds instead of only cashews in the sauce. Your work conference sounds LOOOOOONG!!! But hopefully fun?? Ooooh love this recipe. Anything with chickpeas….yes please!!!! Heather, I love this recipe, it sounds perfect. anything with chickpeas and garam masala and I’m all in. I totally relate with your work trip – I attended many many of those meetings and conventions where I was so excited to go but could not wait to get back home and get some sleep. Good luck! all the indian curry, right?! so cozy (: and exciting (with a dash of sleeplessness) is exactly right to describe conferences! A perfect meal to balance out not so healthy travel eats! exactly! my body was craving vegetables by the end of the trip hahah. work travel always comes with this big expectation of travel + fun, but its always soo exhausting too!! 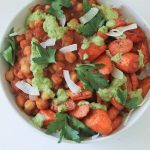 This chickpea curry bowls look delish!! I love all of the different layers (cilantro sauce, carrots, chickpeas!!!) Need to try this soon! I’m raising my hand over here because I WANT A BOWL!!! That’s a kind of meeting I would gladly sign up for!! This curry bowl is perfect recovery food. I love cilantro, so it’s extra cilantro sauce for me! I was just looking for a recipe like this. Voila! That work trip sounds exhausting…I think I’ll stick with staying at home with my kids, haha! Looks so good! And it’s super healthy too … to balance out all the junk food I eat. Hahah! 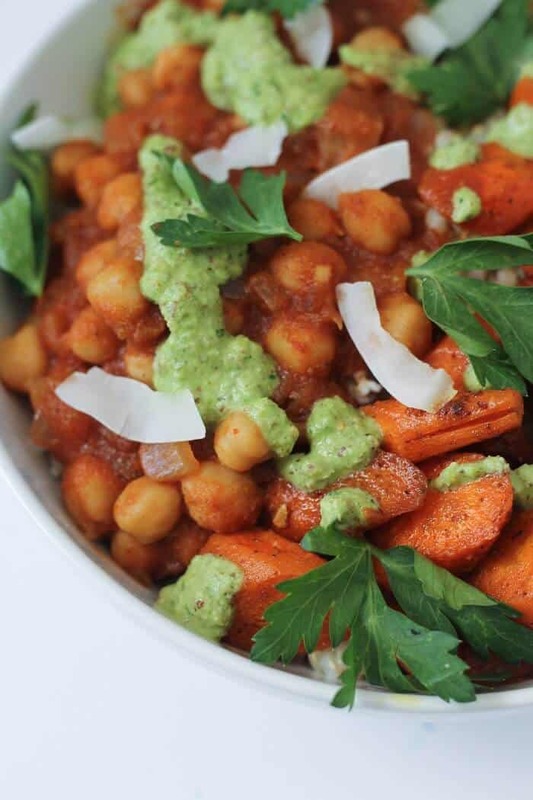 The chickpea curry bowl looks delicious! Love that it’s full of flavors. Major congrats on reaching 2 months with the company. Oh man, I know those conference vibes. Looks like you’re having fun with those free alch! When you’re on constant work travel, the free food gets to you! (Kind of how that freshman 15 works- but with new hires, hehe). oof yeah i can imagine how new hire 15 could be a thing! work travel + a stocked kitchen (healthy snacks, but there’s still candy and chips) can be too tempting. I would not cope with so little sleep! Well, the cookies at 2PM don’t sound bad! But this sounds better. 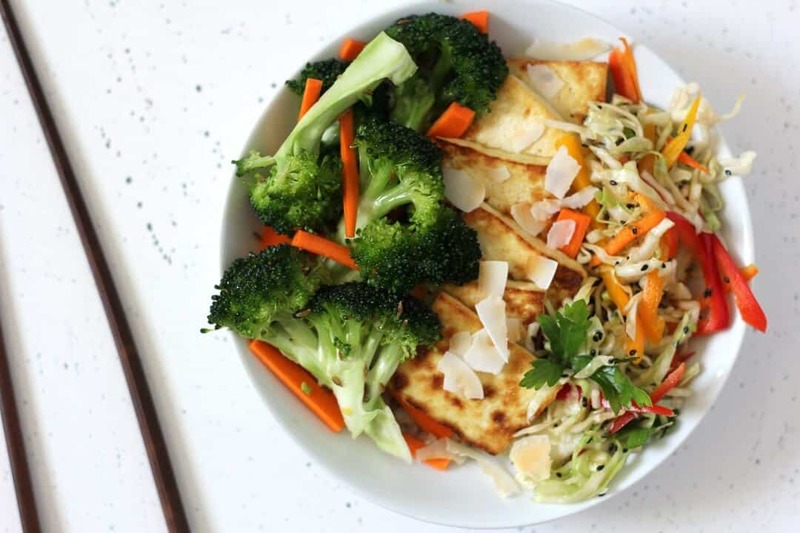 What a great healthy dish! Maybe Manservant will eat this AFTER I give him a cookie! I, of course, will eat it anytime! 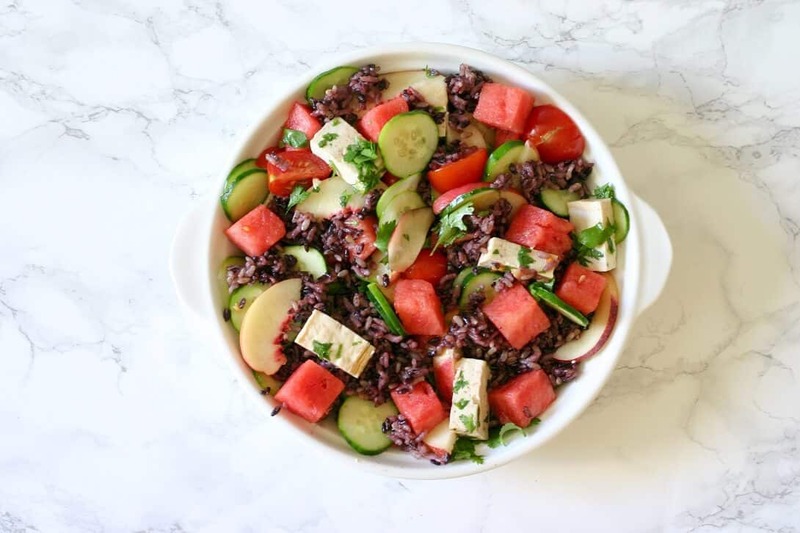 Amazing….It’s looks sooo good & more delicious, beautiful colored as well, am also read your post but it’s my one of favorite recipe till now. I will trying to making this from your recipe…Thanks for sharing……. !